NEW YORK -- The Danone Nations Cup, the world's largest global youth soccer tournament for kids ages ten to twelve has some big news to share: it is now including a girls division, and for the first time in its 18-year history, the finals will play out in the U.S. - at Red Bull Arena on September 24th. 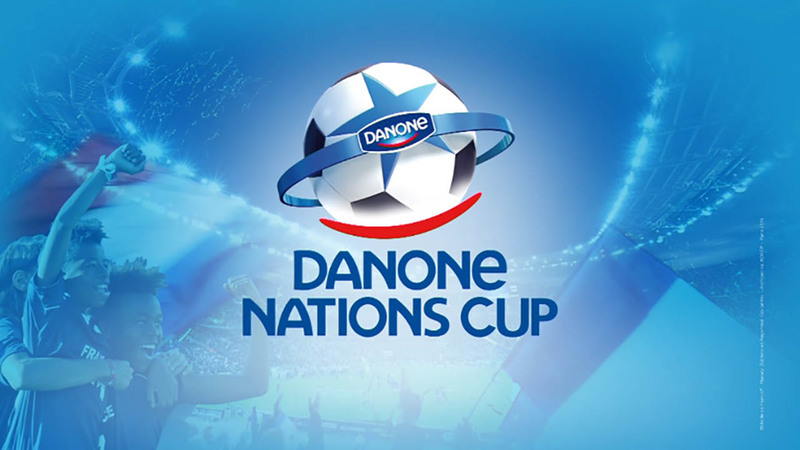 The Danone Nations Cup, hosted by leading global food company Danone, brings together millions of children from around the globe each year to compete in the world's largest youth soccer tournament for this age range. This year, more than two and a half million kids from 34,000 schools, 11,000 clubs and 33 countries are taking part in local and regional competitions, vying for the one boys team and one girls team champion titles. The winners will come to the U.S. in September - taking part in the twenty soccer matches being played throughout the World Cup Final day at Red Bull Arena. Fans from the tri-state area and beyond will have the chance to take part in the event, with fun activities like soccer accuracy contests, educational games about the importance of an active and healthy lifestyle, sweepstakes, a live concert and more. The 2017 program features an inaugural girl's tournament, giving female players the chance to face off with internationally recognized teams. The formation of the girls division also helps them learn about new cultures via their tournament travels - many players leaving their hometowns for the first time. "With our partners, it is our duty to continuously encourage the values of this tournament, which are built on fun, comradery, teamwork, tolerance and respect. We're confident this year's tournament will give players the opportunity not only to participate in an unforgettable day, but to build lasting relationships with other players from around the world," said Emmanuel Faber, CEO of Danone. "And I am thrilled that for the first time ever the final of the Danone Nations Cup is being hosted in the U.S. where girls and boys soccer has an established and passionate fan base." Rounding out this year's firsts, American retired soccer player, coach, two-time Olympic gold medalist and FIFA Women's World Cup Champion, Abby Wambach, has signed on to support teams throughout the year as the Danone Nations Cup first-ever U.S. ambassador. As part of this role, Wambach will attend this year's tournament to meet participants from all over the world and cheer on the teams as they compete for the title of Danone Nations Cup champions. Also lending his expertise and soccer star power to this year's programming is Zinédine Zidane, who has been the Global Ambassador for the tournament since 2003. "The Danone Nations Cup is a special event that brings kids from around the globe together for an unforgettable experience, and I'm honored to be part of it," said Wambach. "I remember playing in tournaments at that age - the friendships I made and skills I learned were invaluable, and went far beyond the soccer field. I'm thrilled to be representing the U.S., and even more excited about this year's formation of the girl's tournament."